Happy Monday everyone! I normally don't do outfit posts on a Monday, but this week I wanted to start off with a bang. Plus, I wanted to show you how to wear this Fringed Cardigan from Here.a pop-up shop well before their popup shop closes (Dec. 15th). Because if there is one thing you should add to your wardrobe now, it's the fringed cardigan. It goes with everything and is so easy to wear. I literally just threw this on top of a camisole with my Dittos Brand jeans and I was set to go. And it's great for lounging around at home (which I would totally do), wearing out while you're doing errands, or meeting with friends. 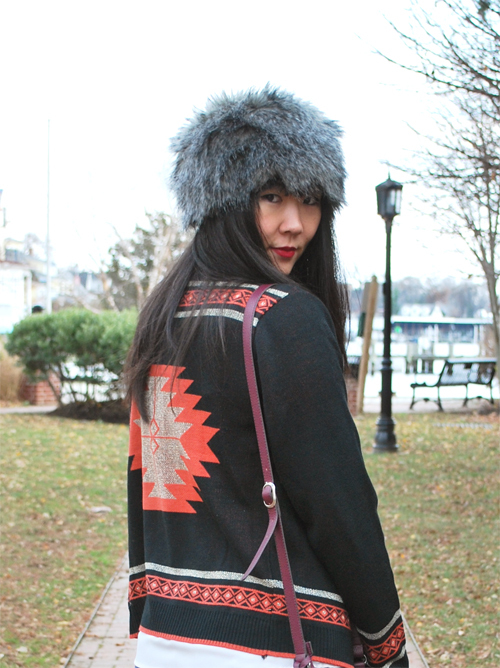 I liked the idea of wearing it with a faux fur hat (to stay extra warm if you're out and about, plus I'm having a total Anna Karenina moment this winter, hehe), some jeweled booties, and of course, the ever-practical cross-body bag. 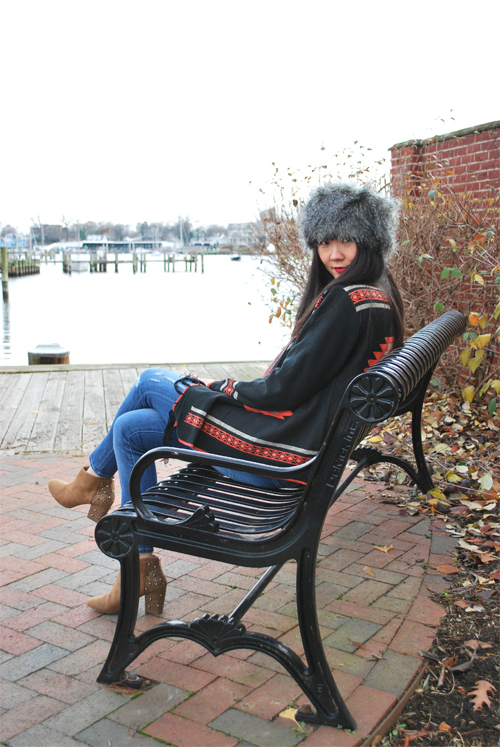 It's such a staple item right now and if you're local to Annapolis or MD/DC/VA, you've got to stop by and check out this cardigan at Here.a pop-up shop, because you will never want to take it off. So hurry and get yours now! They are closed off and withdrawn, making it hard for other people to get close to them. If dinosaur shirt someone says something you disagree with, bruno mars shirt you either believe it or become defensive. You absorb their words, because there's no boundary. Am suggesting that number needs to be reduced. We need to take a breather, because my government is building more roads and rails, schools and hospitals than ever before in our state. We are playing catch up and we need mouse rat shirt to take a breather to make sure that we have that infrastructure in place and to make sure that our population growth is sustainable.